How will the play QAL work? You can try some, all or none of the weekly prompts to play along with play. The objective is to experiment with the art of improv. The prompts and photos are there to inspire you to unlock your own creative possibilities. 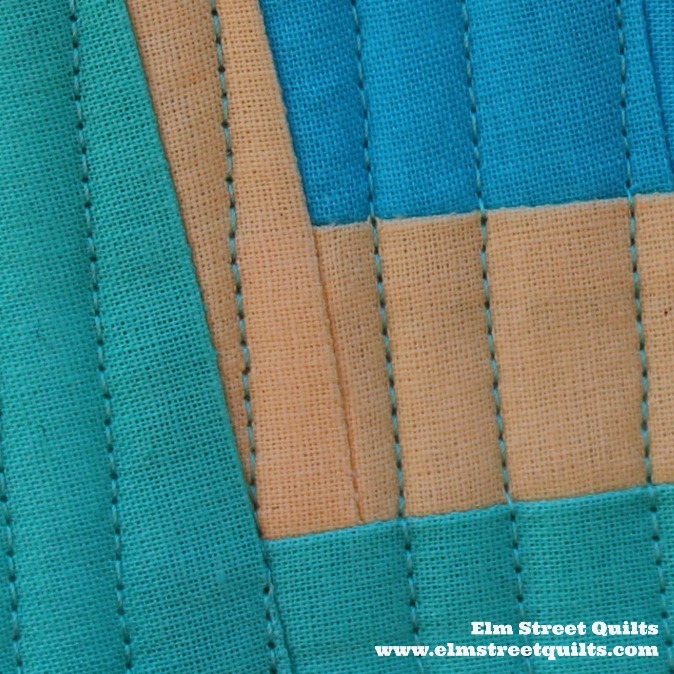 Although I'll be sharing mini quilts along the way, you don't need to make each mini quilt or a mini quilt at all. 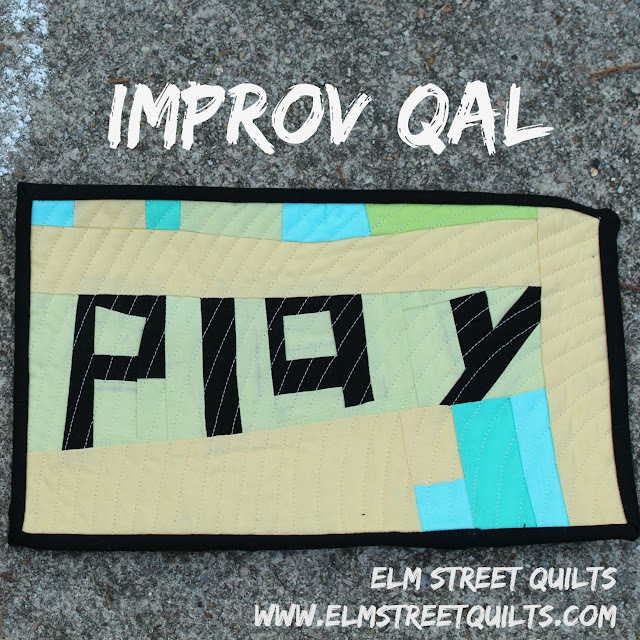 Just make at least one improv quilt of any size and share! How to I get ready? gather your scraps and fabric. I'll be using my collection of American Made Brand solids. 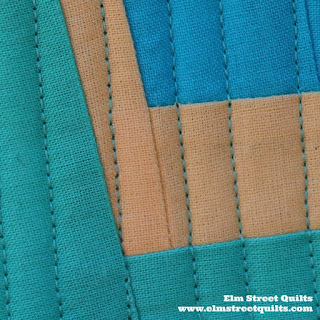 find some colorful thread for your FMQ. Here is my Aurifil collection. Submit your favorite piece by May 1 via email for the parade post on or about May 3. More information on the parade will be available in April. American Made Brand has supplied lovely precuts for prizes. Aurifil has supplied three thread packs for prizes. 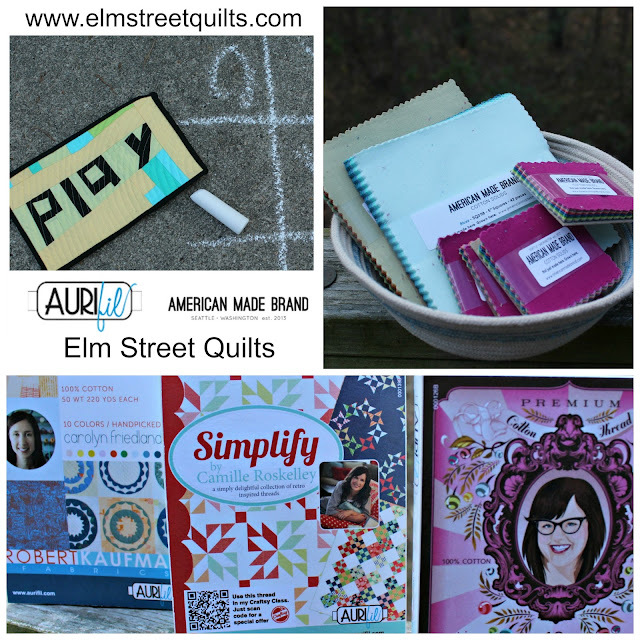 Prizes will be randomly awarded to participants who share their projects in the April linkup and/or the Elm Street Quilts QAL Facebook Group and/or the play parade of finishes. See overall event page for more specifics on prize packages. There will be five (5) winners, selected on the day of the parade post and announced in a blog post once each winner has confirmed their prize. Winners will notified by email and requested to acknowledge and confirm their prize within 48 hours. If I don't hear back from them, another name will be randomly chosen. I'd love to play along but just the sight of the word IMPROV brings me out in a cold sweat. I'm really too much of a control freak to just let go. Sounds like a very fun challenge. Looking forward to seeing all the prompts. I'm catching up with your posts and am looking forward to this QAL, Patty. I really enjoyed the bargello and Repeat QALs. Hope I can keep up with this one (or catch up when I can).